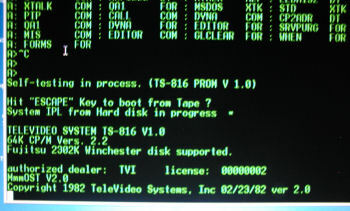 The Televideo TS-816 has no internal disk drive, only a tape unit, which is used for backup and restore operations. Fortunately the hard drive will still boot and support multiple terminal operations. 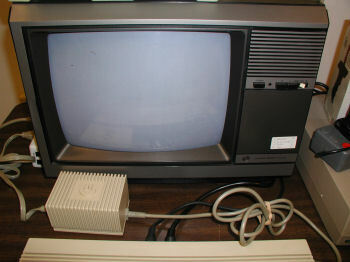 I used the serial port from a laptop to load the BASIC program ELIZA from console mode and then ran the program on separate (Televideo) terminal in user mode.